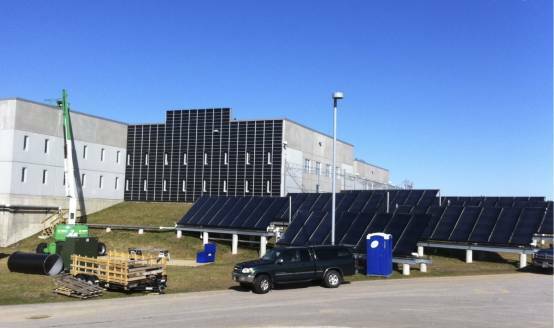 After completing one of the largest solar hot water systems for Merrimack County Corrections in Boscawen, NH (64 Collectors), there was funding remaining in the project budget to support additional efficiency measures. 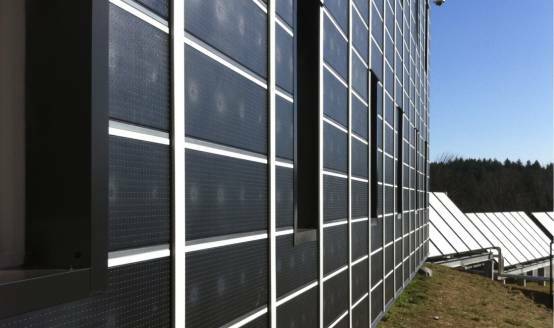 A 1,400sf solar air heating system was explored, and implemented to make what is now the only large scale solar thermal system that incorporates both solar hot air and solar hot water - literally side-by-side. 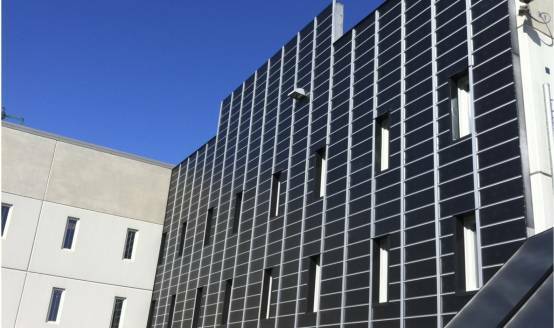 This impressive wall system was integrated into the architecture of the corrections facility, and connected to a roof top mounted air handling unit which draws between 3,400cfm and 13,000cfm of outside air depending on season and occupancy requirements. 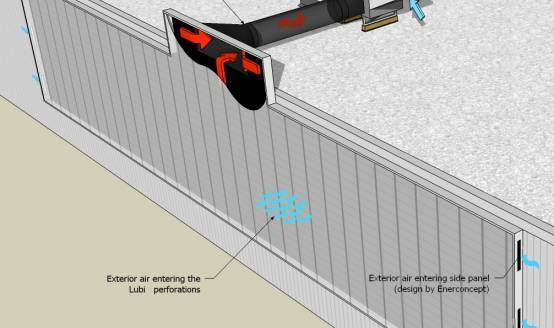 The Lubi™ glazed solar air heating system pre-heats this ventilation and provides space heating for many hours during the day all through winter, spring and fall. The $62,000 project was funded using approximately $12,500 in rebates from the NH Commercial & Industrial Solar Rebate Program supported by the NH PUC. It is estimated this project will achieve a 3 to 5 year investment return at $3.00/gallon #2 oil.